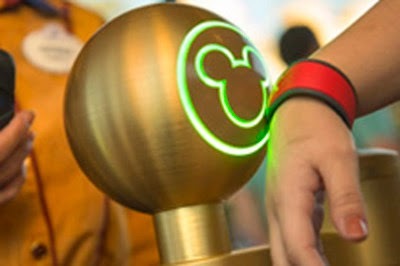 Once you book your Walt Disney World trip you will login into wwww.mydisneyexperience.com then you will order Magic Bands. These bracelets work as your room key, park ticket, dining and fastpass+. You can load up to 3 fastpasses for each day of your trip onto your Magic Band 60 days prior to your trip if staying on property starting at 7am. Then you can see those on the app on your smart phone. This eliminates the need to enter a park early to get fastpasses for your favorite ride or character meet n greet. Disney's Fastpass+ system continues to grow and change as they see needs. Hollywood Studios and EPCOT created a two tiered system. The PRIME rides are considered Tier 1 rides while the rest are considered Tier 2. You can choose 1 Tier 1 and 2 Tier 2 rides for each day. Hollywood Studios: DEFINITELY get Toy Story Mania as your Tier 1. EPCOT: DEFINITELY get Soarin' as your Tier 1. How do I know when I will be available for these rides, how do I plan that far in advance? There are a couple of ways to plan the timing of these fastpasses. I suggest making your dining plans first. Oftentimes this indicates which park you will be visiting. Then I would book your fastpasses around that. 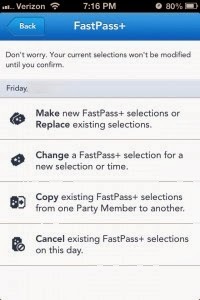 Game Plan One (this is what most Disney goers should do to make the most of your trip): you can get additional fastpasses while on property AFTER you use your three fastpasses. So, you might want to get your fastpasses early in the day so that you can add more. Game Plan Two-for the late riser:Plan them around your dining reservations. So, if I had dining reservations at 5pm in Hollywood Studios, I would have a fastpass for Tower of Terror at 3-4 pm then another one for Toy Story Mania at 4-5. This would allow me to get those two in really close to dinner. Then maybe a third one at 6:30 after dinner. What if my plans don't work out and I can't make it to my ride in time? Since you can download the app to your phone you can always login and change the time. However, you should make your fastpasses in advance. So will everyone else so you might go to change your fastpass time and only be able to get a fastpass to a ride you don't want! There are a limited number of fastpasses for each ride each day. Internet service in the parks is free but SLOW, there are kiosks at each park for help with and modifying fastpasses. If your battery...or patience get low this is the best option. Which Fastpass+ rides should I sign up for? This is a tremendously difficult question for me to answer because it really depends on the ages of your kids and how adventerous they are! However, I have listed them below for you to look at them all in one place. The ones in red below may be too scary for young or timid riders. What if I have Park Hopper? You will only be able to make 3 fastpass+ in one park per day. However, after those three are used you can get another one at whichever park you are in. How do you make additional fastpasses once you are on property? Once your time for your original three fastpasses has passed you can go to a FASTPASS+ kiosk in any park and add one additional fastpass. Then if that time passes you will continue to add one at a time. Obviously, you only get what is still available at that time, this is why arriving early and having early fastpasses is the most efficient way to ride rides at Walt Disney World. I will warn you though, you will be MUCH more tired than you anticipate. I, generally walk 6-7,000 steps each day as a school teacher and mom if I don't intentionally go exercise. Each day at Disney we average 20-25,000 steps. You will have to sleep. Either get back, showered and in bed by 9 or expect to sleep later than park opening...you won't make it long doing both unless you nap in the hottest part of the day, which is actually a great option! Which Fastpass+ should I NOT bother with? I get this question a lot and it is hard to answer because it really depends on the family. Those of us with teens no longer care to see the characters enough to use a fastpass. However, with young kids that could make or break your trip! Hollywood Studios: Beauty and the Beast, Indiana Jones and Stunt show spectacular are all fast loading events with little wait time and several shows each day. Seven Dwarfs Mine Train 38"
Toy Story Midway Mania-THIS SHOULD BE YOUR FIRST CHOICE! Expedition Everest 44 Fyi-my kids and I ride this single rider and only wait minutes, so we don't fastpass it. Depending on the age and independence of your children this is a great way to conserve your Fastpass options! Primeval Whirl 48” This is worse than the Tea Cups for nausea...if you have someone that cannot handle spinning this would definitely ruin their day!